Inside the top lid of the Crosley 51. 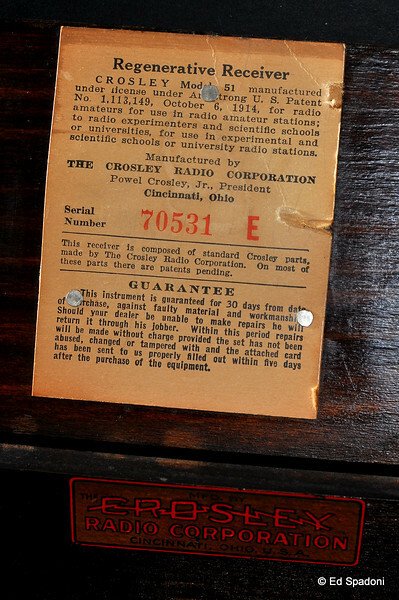 Note that this radio came with a 30 day guarantee! Good ol Cincy... 30 days, what a gaurantee! :0)... Classic shot!